CMA Award winner and four-time GRAMMY nominee, Brandy Clark, just wrapped a highly successful acoustic tour that Los Angeles Times said, “delivered a stream of smartly crafted songs,” that will make radio “hard-pressed to find songs more emotionally and musically rewarding than Clark’s,” with a bang Sunday in Northampton, Mass. Clark has now been tapped as a special guest for an esteemed event this December honoring revolutionary music icon and 11-time GRAMMY Award winner, Linda Ronstadt. 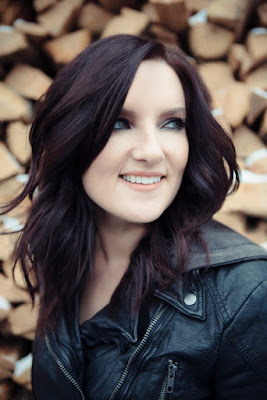 With an acoustic performance that made CMT write, “few artists can make you feel the power of music quite like Brandy Clark," the acclaimed songwriter sold out an entire run in the United Kingdom as well as multiple stops in Los Angeles, Philadelphia and New York City. The event presented by The Bluegrass Situation, Goldenvoice and Red Light Management is titled, A Tribute to the Music of Linda Ronstadt, and will use powerful voices of respected singer/songwriters to honor the Rock and Roll Hall of Famer in Los Angeles Dec. 11 at The Theatre at Ace Hotel. Clark, who Washington Post said is “armed onstage with her own powerful voice and an acoustic guitar,” will be in great company as the tribute will feature performances by Ronstadt's close friends including: Jackson Browne, Maria Muldaur and David Lindley as well as those to which she was an influencer: Dawes, Gaby Moreno, Grace Potter and I’m With Her (Sara Watkins, Aoife O'Donovan, Sarah Jarosz) led by the Watkins Family Hour house band. "Linda Ronstadt is one of my favorite artists and biggest musical influences," says Clark. "I admire how beloved she is within all music circles, from pop to rock to country and beyond. I am honored to be part of this great event and to help raise money for such an important cause." All proceeds will benefit The Michael J. Fox Foundation for Parkinson's Research, a disease that affects Ronstadt. For more details and ticketing information please visit here.